HomeFeaturesEXCLUSIVE: Producer Danny Saber Talks About New Music and Movie to Mark the 20th Anniversary of Michael Hutchence death. EXCLUSIVE: Producer Danny Saber Talks About New Music and Movie to Mark the 20th Anniversary of Michael Hutchence death. Last week Tech entrepreneur and HeliPad Records founder Ron Creevey revealed to Michael Hutchence fans around the world an 11-second sampler of a track called ‘Kik It’. ‘Kik It’ was one of many solo songs Michael Hutchence had been working on in L.A. with producer Danny Saber before his untimely death in 1997. 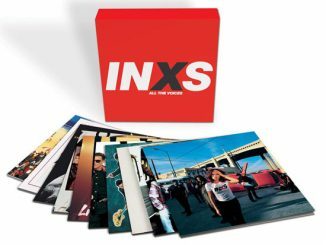 XS Noize spoke to Danny Saber to find out more about the forthcoming new music and documentary to celebrate Michael Hutchence life. “When anybody dies they leave debris behind sometimes its positive and sometimes its negative and of course when someone of Michael’s stature dies under the circumstances he died under it leaves a mess basically,” Danny Saber told xsnoize.com. “It opened up the door for certain people to use the situation to their advantage in a self serving way. Now that Ron (Creevey) is in the picture there has been someone who’s in a position to fight for Michael’s legacy. Ultimately for me what this has really been about is putting some closure and allowing Michael’s legacy to sit where it should sit”. 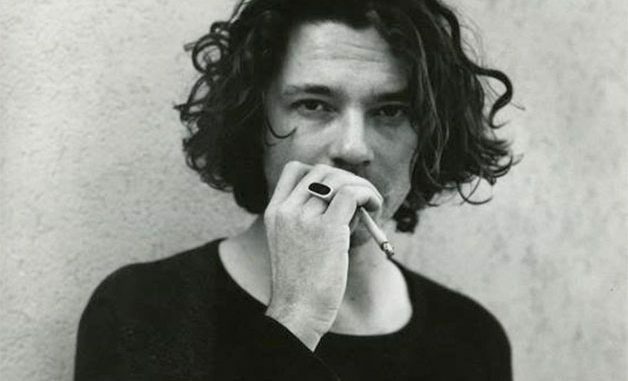 Saber worked directly with Hutchence in the months leading up to that fatal trip to Australia in November 1997 for what was meant to be an INXS tour. He saw first-hand how people would take advantage of Michael’s fame and fortune. “What’s interesting is the people who were around him his whole life that were taking advantage of him. He was like ‘the goose that laid the golden egg’ and some people had very selfish motive$,” Saber said. “That’s what happens when you are someone who generates that kind of money,” he added. “You are surrounded by people, some have a positive agenda, some have a negative agenda, and some are in between. We’ve got an opportunity now to use this new music and the documentary to paint a realistic picture of who Michael Hutchence really was”. 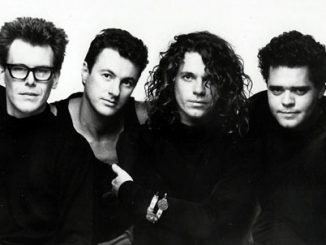 Danny says that the real Michael Hutchence was not portrayed accurately in the INXS mini-series. “Michael was different to everyone who knew him. There was not one Michael. We are interested in painting an authentic picture of who he was to the people that loved him and cared about him. His family are on board and involved in the process. It’s all about being inclusive and that’s the message that I want to get across. Ron Creevey has come in and brought everyone together and that’s ultimately the goal to bring all the people that really cared about Michael together to set his legacy in stone”. The first taste fans will hear of from the vaults in 2017 is ‘Kik It’. “‘Kik It’ is one of the unreleased songs that will be on the soundtrack that accompanies the first official documentary from the Michael Hutchence estate. More than 50,000 fans sampled the song within hours of when it was revealed,” Danny said. THE LOST ART OF THE ‘FRONTMAN’, Who was the ultimate front man? Jagger, Iggy, Hutchence…? – Danny Saber discusses working with Michael Hutchence further. Side-tracked by a reality show, a mini-series and a rotation of new lead singers, none of which were authorised by the Hutchence estate, has meant it has taken years to get to this position. “What people don’t understand and they don’t realise is how much commitment and effort it has taken just to get it to this point. Now we are starting to build some momentum to show the world the trajectory Michael was on,” he said. The tragedy in the timing of Michael’s death is that he was at his most creative point in years. “He was basically at the beginning of the second part of his life, the possibilities were unlimited and that’s the tragedy of him going so early. It shut the door to so much potential,” Danny said. The only story of Michael Hutchence authorised by the Michael Hutchence estate will premiere in 2017 through Ron Creevey’s group of companies. “The documentary is an incredible story. It’s really focussed on Michael and who he was as a person. It’s like a road map for all the good and bad things that can happen and everything in between when you are in the position of being a star of that magnitude. 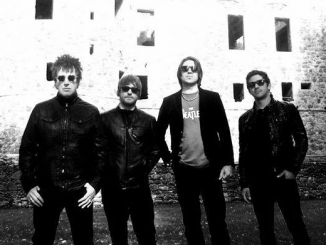 It’s got everything, the documentary is not going to be what everyone is expecting,” Danny added. Ron Creevey’s HeliPad Records will release the unreleased Michael Hutchence music and film in 2017.